Home gadgets are getting smarter and smarter. Aside from working hard on the outside looking, engineers start to weave trending technology features, such as voice control, Bluetooth connection, into inner structure. You might have not realized how modern our desk lamps have become. Let’s take a look at these fun table lamps! This cute small reading lamp is perfect for kids to read before sleep.The flexible neck allows them to read at any angels, the eye-protect light will not be irritating, and the plant shaped design brings the mother nature home. You can totally confuse other with this cool jellyfish lamp. These lifelike jellyfishes even float and swim just like how real ones do because of the special water jet. It is a perfect office or desk pet for lazy people since there is no need for maintenance. The lamp come with 18 LED lights and 5 color changing effects. This vintage looking, handcrafted metal lamp is a perfect decoration for artists and people who are into masculine/industrial styled designs. It is made out of genuine malleable iron pipe from a valve factory with real-workers assemble, brush, and paint the body. No matter you believe in dinosaurs or not, you will find this dinosaur 3D lamp fun to watch and use. You can set it as one fixed color, or 7 gradual-changing colors. The detailed dinosaur skeletons and roaring posture bring in the perfect setting for nighttime stories. This smart table is compatible with Alexa Echo/Echo Dot/Google Home. It will turn on automatically when you say “Alexa, turn on the smart lamp.” Ideal for kids who are afraid to go to the bathroom alone at night. You can also monitor and change its modes and lamp colors from its app. Nowadays, a lamp does much more things than a regular one. 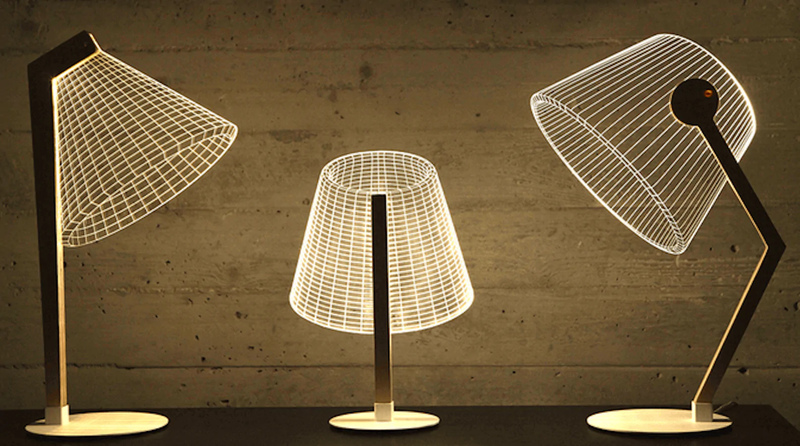 Other than touch control and eye-safe lights, this lamp can also act as a speaker or a music player. Just connect it with your cell phone and touch the metal ring, it sure will turn your home into a wonderland! Interested in other fun home gadgets? Check out our In-Home SPA post!